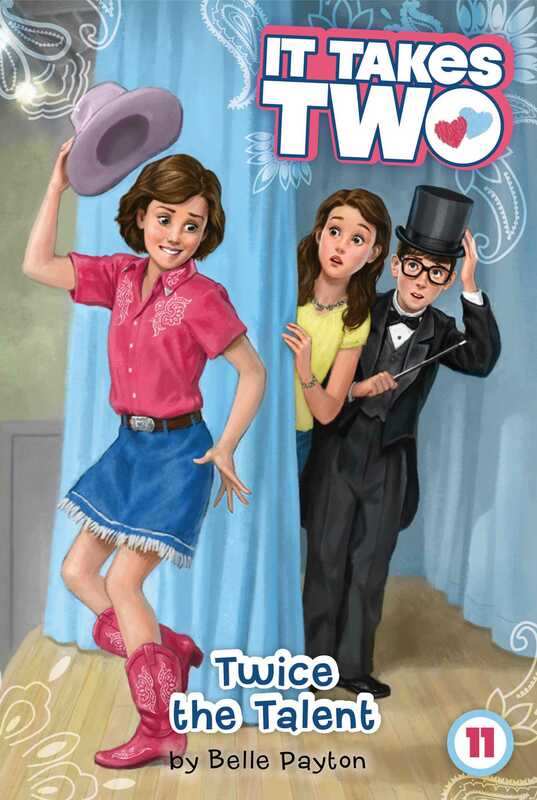 Alex and Ava put their talents to the test in the eleventh book of the It Takes Two series! After spraining her ankle during her first basketball game, Ava’s feeling pretty sorry for herself…until her friend Kylie falls off a horse and breaks her leg! Kylie’s going to be okay, but she does have one request: will Ava take over for her in the big line dance in the school Variety Show? Looks like Ava’s once again being pulled into the one place she hates most: the spotlight. Meanwhile, Alex is working on a school project with a boy who’s been getting bullied—and he doesn’t even seem to appreciate it when she stands up for him! She wants to find a way to get him to come out of his shell a little, but will she be able to convince him to share his hidden talent at the Variety Show and win over their classmates?